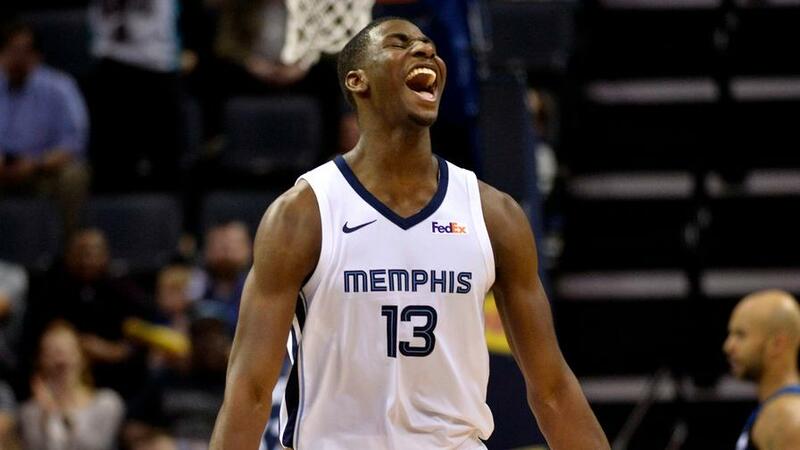 Getting expanded run with Marc Gasol on the shelf (and potentially on his way out of town), Jaren Jackson Jr. offers some strong upside tonight against the Thunder. Note: Today is the NBA trade deadline day. Players' values can change greatly if their teams make a deal that leaves them with a lack of depth tonight. Make sure you keep an eye on our NBA Player News page to stay up to date on any moves. LeBron James ($10,300): If LeBron's last game was all we'd seen from him returning from injury, there would be some room for pause here. But his first game back saw him top 50 FanDuel points in 40 minutes of action, so there's no need to be concerned about his recent dud. 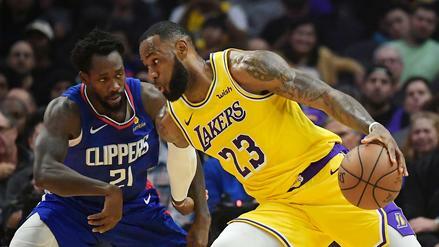 LeBron's price tag has dropped by about $1,000 from where it was pre-injury, when he topped 50 FanDuel points 7 times in 11 games. A matchup with the Boston Celtics isn't particularly exciting, but it also doesn't warrant a $1,000 discount. Kawhi Leonard ($10,100): Not quite producing at LeBron's level this season, Kawhi makes up for that gap with an elite matchup against the Atlanta Hawks. This has been the most productive season of Leonard's career, averaging a career-best 46.4 FanDuel points per game, which comes -- as always -- with solid numbers in all areas of the stat-sheet. With the Hawks allowing above-average marks in rebounds and blocks, as well as the NBA's most points, most assists and most steals per game, a well-rounded fantasy gem from Kawhi would come as little surprise. Jusuf Nurkic ($8,700): Nurk's been struggling a bit recently, failing to crack 30 FanDuel points twice in his last three games. Those duds are in the middle of some solid showings, though, as the other four of his last seven outings have each seen him top 40 FanDuel points, with north of 45 in three of them. He's showing plenty of upside at this price, with at least 50 FanDuel points in 3 of his last 10 games, and he even erupted for 88.1 on January 1. That's the fifth-highest single-game fantasy score for any player this season. 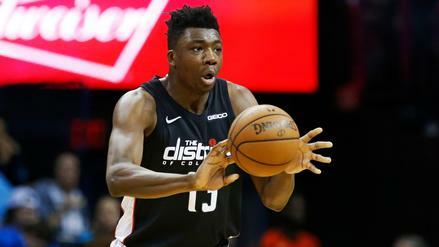 You typically have to pay way up for that kind of upside, and Bradley Beal and Hassan Whiteside are the only other players who have topped 80 this season while typically priced south of $10,000. 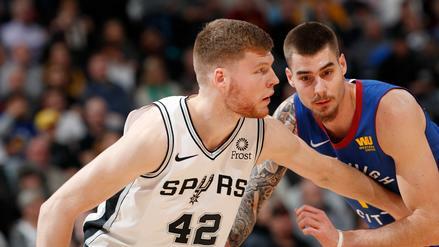 Nurkic doesn't draw a great matchup tonight against the San Antonio Spurs, and combining that with his recent duds makes him something of a shaky cash game option. In tournaments, though, you can afford to take on that risk to get access to his under-priced upside. Keep an eye on the Memphis Grizzlies today. If they end up moving Mike Conley, then tonight's matchup would be a lot softer for Russell Westbrook ($12,000), and he would become one of the top high-priced options on the slate. DeMar DeRozan ($7,900): On the other side of that matchup, DeRozan will be back in action after resting on Wednesday. DeRozan is also something of a volatile fantasy producer. His last 15 games have seen him fall below 30 FanDuel points five times. That stretch also includes three games with at least 57 FanDuel points, though, and he has at least 39.5 (5.0 per $1,000 of salary today) in two of his last four games. The Portland Trail Blazers rank a middling 16th in defensive rating, and the offense-reliant DeRozan doesn't lose any value in this spot. Andrew Wiggins ($6,000): Wiggins is another player dealing with a fantasy slump, posting 27.0, 23.8 and 22.2 fantasy points in his last three outings. That's coming on the heels of three outstanding performances though, with 41.1, 39.7 and 49.6 fantasy points. There's nothing to be concerned about in this mini slump, as he has still played 37.2 minutes per game over his last three. He shot an egregious .298 effective field goal percentage in that sample, but short-term efficiency is not something to read too much into. He's got a .442 effective field goal percentage on the season and a .472 career-average, and his shooting will move back closer to those averages moving forward. The slump has caused a drop in price (he was $6,800 just three games ago), leaving him as a bargain tonight. Al-Farouq Aminu ($4,900): Another player getting a discount from a recent slump, this is the first time Aminu has been priced below $5,000 since his Christmas Day matchup with the Utah Jazz. He's had three sub-15 fantasy point showings in his last four outings, so the drop is understandable. The exception in those four? A 41.6 fantasy point explosion. He has still come within 0.5 fantasy points of 5-times value on today's salary in 9 of his last 15 games, averaging 25.1 per game in that stretch. Yes, his 0.51 FanDuel points per minute in his last two games is ugly, but we also saw him play zero fourth quarter minutes in a blowout loss in his last game, and we can expect his efficiency to regress closer to the 0.81 FanDuel points per minute he's averaging on the season. With increased minutes and efficiency, his production should be back to its usual levels as we move forward. Ivica Zubac ($3,900): Zubac doesn't play big minutes, and that really cuts into his floor for fantasy. At $3,900, that's not a huge concern, where the difference between 5-times value and 11 fantasy points (his lowest mark in his last 12 games) is only 8.5 -- not a huge deal in the grand scheme of things. He's paired that low floor with plenty of upside, topping 6-times value in five of his last nine games and hitting 7-times value in four of those. Our models project Zubac as the top point-per-dollar value on the slate. Lance Stephenson ($3,700): Stephenson has continued to see some solid run, even with LeBron back. In the last two games that James has played, Stephenson has seen 30.2 and 28.3 minutes. He has only topped 28 minutes in three games this season, but two of those had him hit 27 FanDuel points. If we expand our view to the six games in which he played at least 25 minutes, he has at least 23.4 FanDuel points in all but one, and has averaged 28.4 per game. For only $200 above the minimum, this expanded run makes him a great value tonight. There's also plenty of room for more minutes if the Lakers do pull of a major trade, as Brandon Ingram and Kyle Kuzma have both been included in reported offers for Anthony Davis.